The only sure thing about a wedding in Melbourne is that you can expect any weather conditions, no matter the time of year. 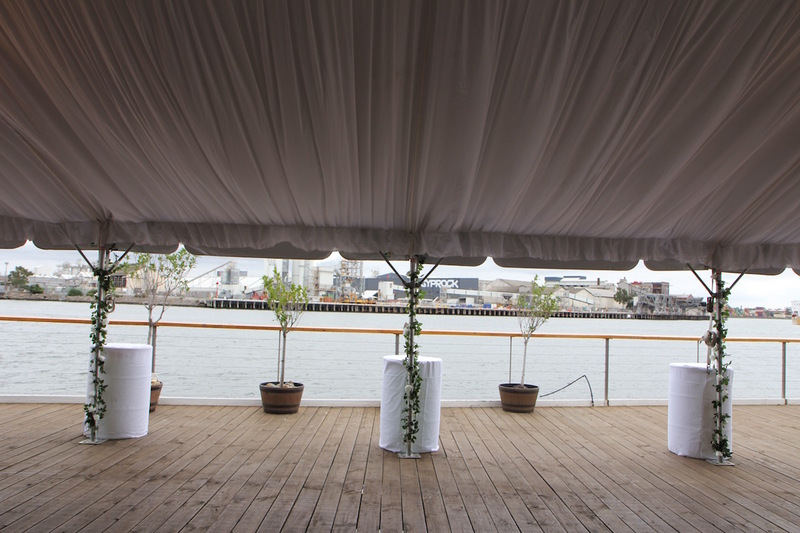 Getting married on the deck at Pier 35 only adds to the risk. This couple didn’t risk it, instead they guaranteed their guests stayed dry – no matter what was whipped up from the Yarra. 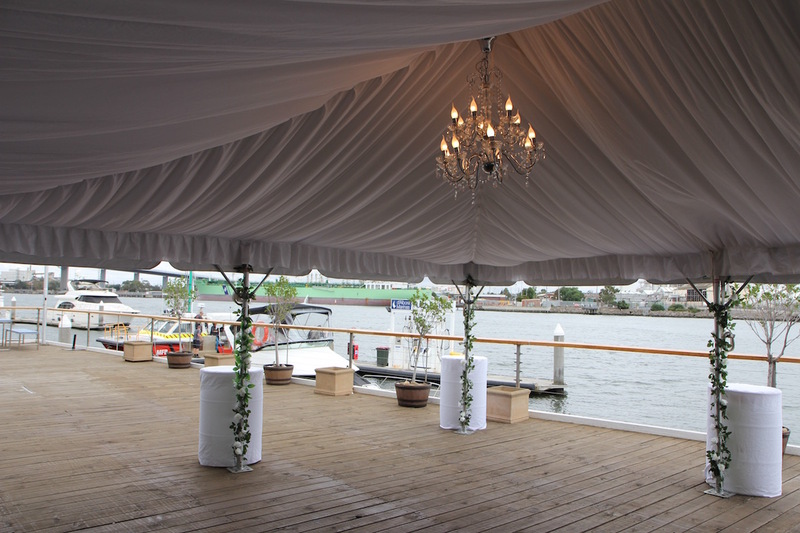 This spectacular 6m x 12m Clear Span marquee with hip ends, silk lining, chandeliers, and vine wrapped pole covers all combined to create a classy space outside the dinning area. 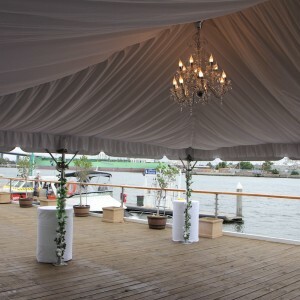 If you need a marquee for an event or wedding in Melbourne, contact the marquee hire Melbourne experts – Celebrate Event and Party Hire. 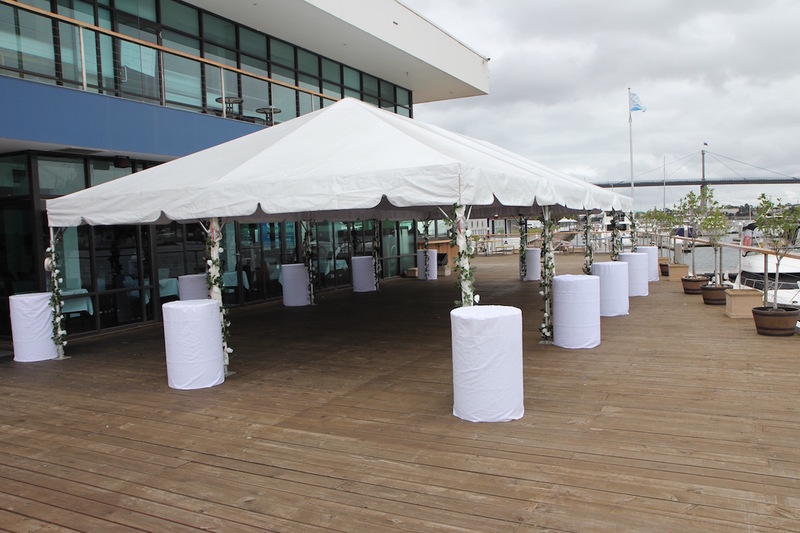 Celebrate Event and Party Hire offer a full range of Baytex Hip End Clear Span Marquees as well as traditional clear span marquees. 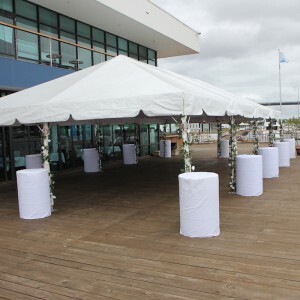 We offer clear and white roof marquees, timber flooring and a wide range of furniture and lighting options. No job too small or big, we love making our customers events run like clock work. Add some colour to your next event! Garden Party – for 400 people!!! New addition to the kid’s party hire range! Making the most of a small space – Small Marquee – Big Impact! 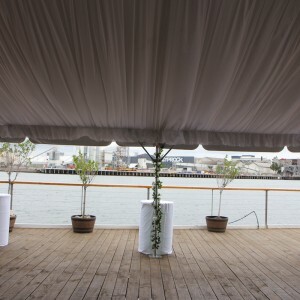 Thinking about getting married in St Kilda or Elwood? Warm White Festoon Party Lights!